How the new 'brand-tech' practice headed by George Prest and Drew Burdon, and its relationship with You & Mr Jones, will actually work. When the former Havas chief executive David Jones, fresh from securing $350 million in funding, explained the vision for his new "brand-tech" company in Cannes last year, some questioned what it would look like in practice. Blood, which launched last week, is a critical part of the answer. It will act as the "doorway" into You & Mr Jones, with the Blood team working out which parts of the group would be best-placed to solve a client’s problem. 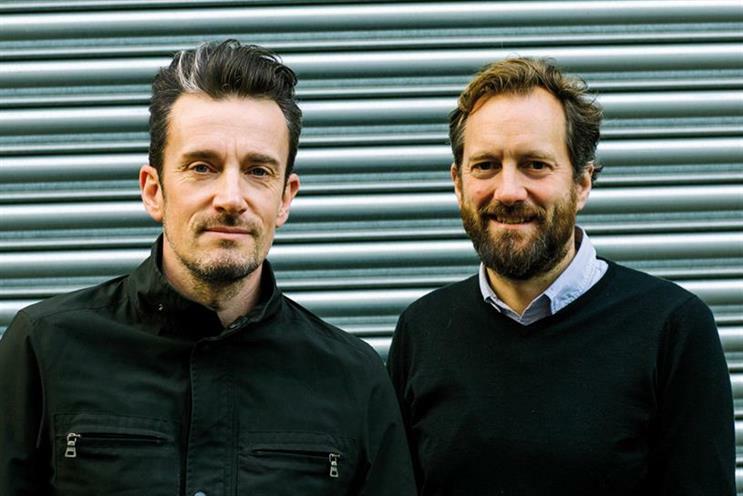 The practice will be led by two former R/GA London vice-presidents: George Prest, who was also the executive creative director, and Drew Burdon, the executive strategy director. The pair joined You & Mr Jones last year as partners and have been developing the offer before its official launch last week. Prest says he and Burdon chose to set up their company within Jones’ business because he understood their ambition and, by creating it within a tech group and not an ad network, they were joining a company "that is built on doing things differently". "We’re trying to create a new type of creative company and cast off the agency practices we’ve lived in for the past 15 years," Prest adds. Blood will differ from traditional agencies because it will charge a flat fee. It will not have departments and the hierarchies they bring. It will not take part in competitive pitches. And it is designed to work "in-between existing agency arrangements, seeking a place on the P&L, not the roster". The model is built on getting client money out to the most relevant parts of the group as seamlessly as possible. As Prest explains: "Having access to service providers that we’ve invested in means we hope to be able to pass on significant cost savings to clients, eliminating the need to hold up huge holding companies and agencies." Blood’s definition of "brand-tech" is helping brands solve problems through technology. Although the team won’t name its launch clients, one of its live projects is helping a luxury brand decide whether it should sell products on its own site or through high-profile e-commerce platforms such as Net-a-Porter. Another project involves a packaged-goods company. The group often launches line extensions that do not sit well within the existing brand but does so because the cost of creating a new brand is prohibitive. It has asked Blood to work out whether it can use technology to launch brands more cheaply. At the start of a client relationship, Blood will agree outcomes and charge a fixed fee rather than using the conventional hours-per-head model. By doing this, it hopes to eliminate protracted fee negotiations. Blood has four offerings – consultancy around a content-based idea, a product (including propositions, strategies and prototypes), a service (including usability audits and optimisation strategies) and a brand reboot. Charging by output rather than input is clearly a better business strategy, but value is a subjective concept. How do you work out how much value a solution will bring to a business? When do you get paid? Does the project nature exclude creating long-term value for clients? "There is definitely an opportunity and a desire to create long-term value. We absolutely want to go on a long-term journey with clients," Prest says. "But there will be no lock-in at the start. We will not agree to work for a long time." Instead, projects will be broken down into shorter sprints. The team will remain small. Blood is launching offices in London and New York, and is planning a third in California. But they will only ever have ten to 20 people – 30 at a push. "We joke that we are as disintermediated as an intermediary can be," Burdon quips. Another difference between Blood and traditional agencies, Jones says, is that the team knows the end result of its efforts is probably going to be built by one of the other businesses within You & Mr Jones. So rather than working out how it can retain as much revenue as possible, it will be encouraged to share. The incentive structure has been developed accordingly. While all individual businesses will have a P&L, they will also share a common one. Prest and Burdon are partners in You & Mr Jones, not Blood, so will profit if the overall group performs well. "All the key senior executives have a stake in the company doing well. Every single partner gets exactly the same stake. There’s a straight division of the pool," Jones states. He also believes integration will come more easily because the businesses will not be competing: "There’s no overlap. Either the clients or brands need what one of the companies does or they don’t. Closed models are not good in the world we work in." It is too early to tell whether this model is the future of the ad industry. But Prest and Burdon certainly don’t lack the enthusiasm to make it a success. As Prest explains, the name Blood was chosen because "that’s what we’ll sweat every day for our clients". Let’s hope it’s not as painful as that sounds. The company, which launched in June 2015, is the majority owner of MoFilm, with whom it developed the multichannel network Mosaic last month and has business from Airbnb, Emirates and Netflix. You & Mr Jones has just acquired a majority stake in the data agency Fifty-Five, which was named by Deloitte as one of Europe’s fastest-growing tech businesses. It has also invested in Mashable, Pixlee, Gfycat and Beeswax (which, reports suggest, Snapchat had been interested in buying). Two more tech acquisitions are in the pipeline.